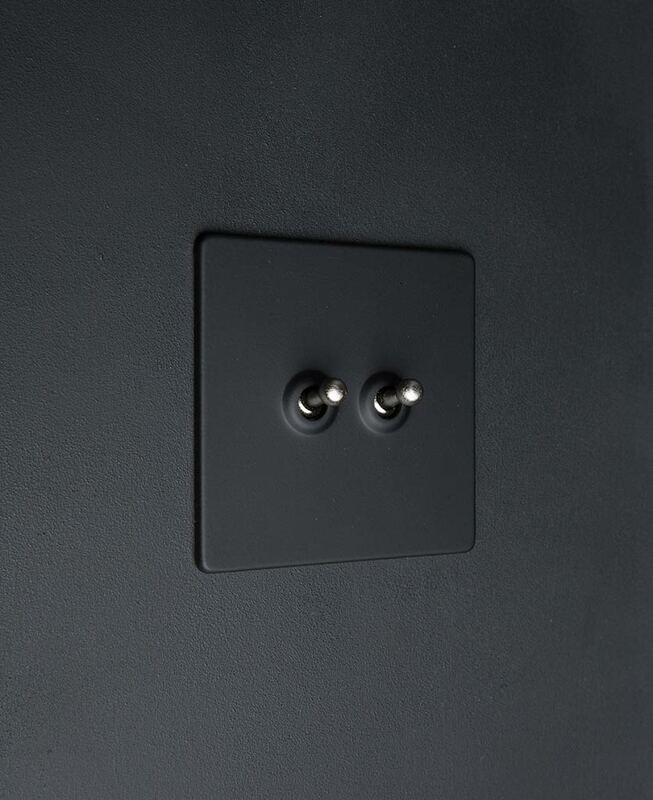 Our slick toggle light switch 2 toggle black toggle features an understated matt black plate with a choice of white, gold, silver or black high-quality toggle switch. A beautifully retro way to switch your lights on and off. There’s nothing quite as satisfying as the flicking of a toggle switch. 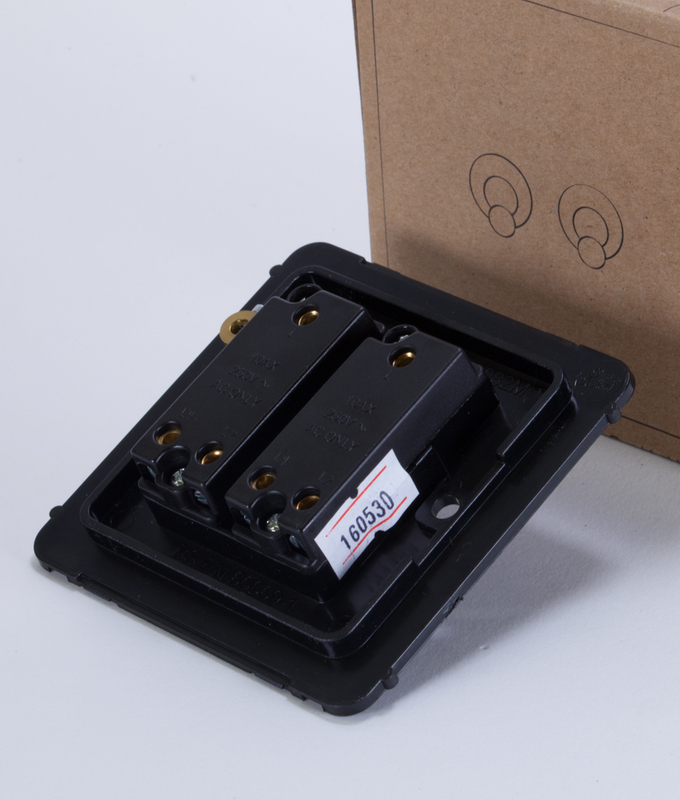 And these are quality switches. 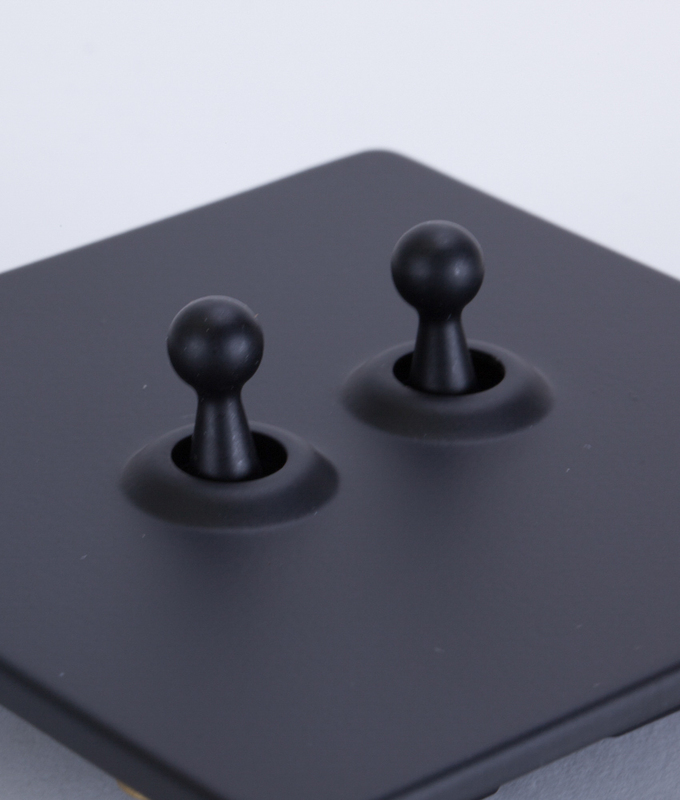 Robust, substantial toggles that will stand the test of time. It’s hard to imagine a room that wouldn’t benefit from some of these beauties. 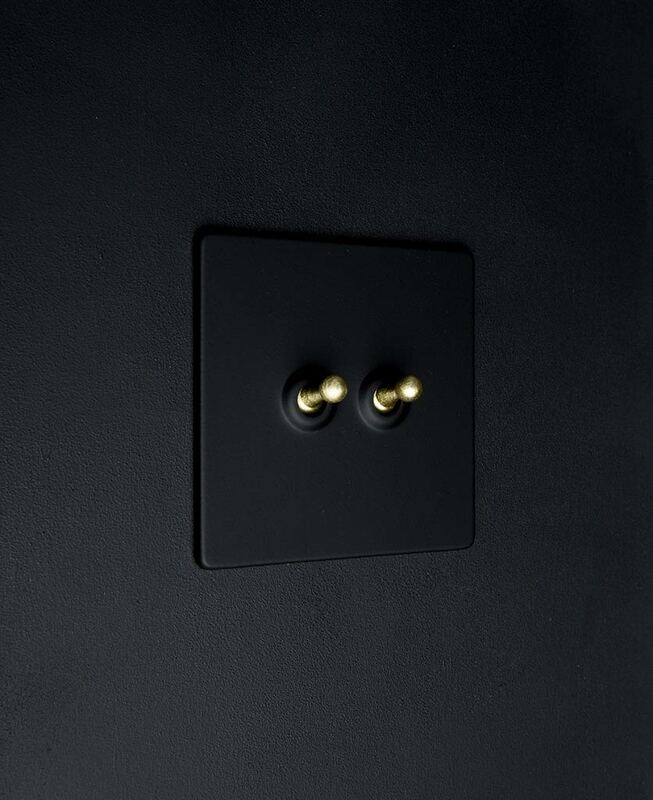 This collection of industrial style designer light switches is exclusive to us. Meaning you won’t find them anywhere on the high street. 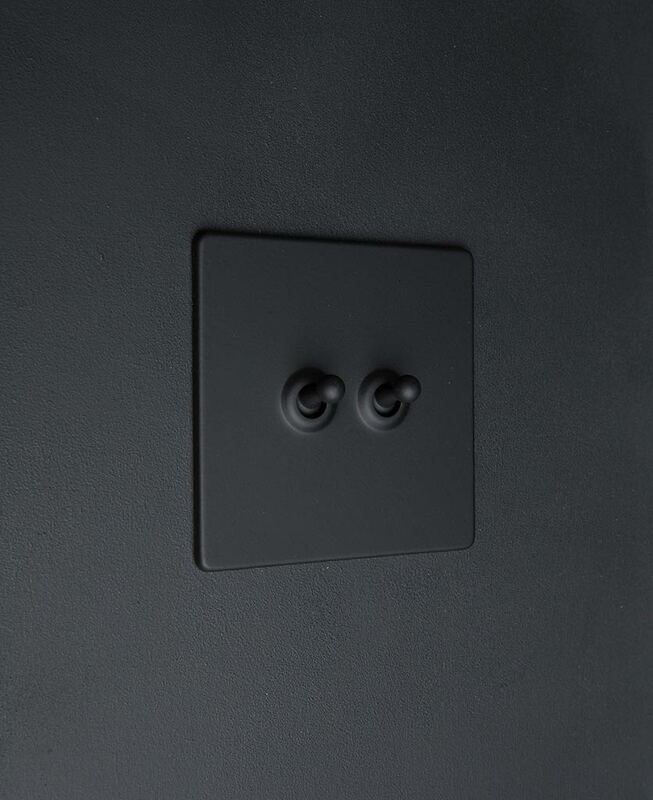 If you love this black double toggle, check out the matching single version plus our coordinating black switches and sockets. 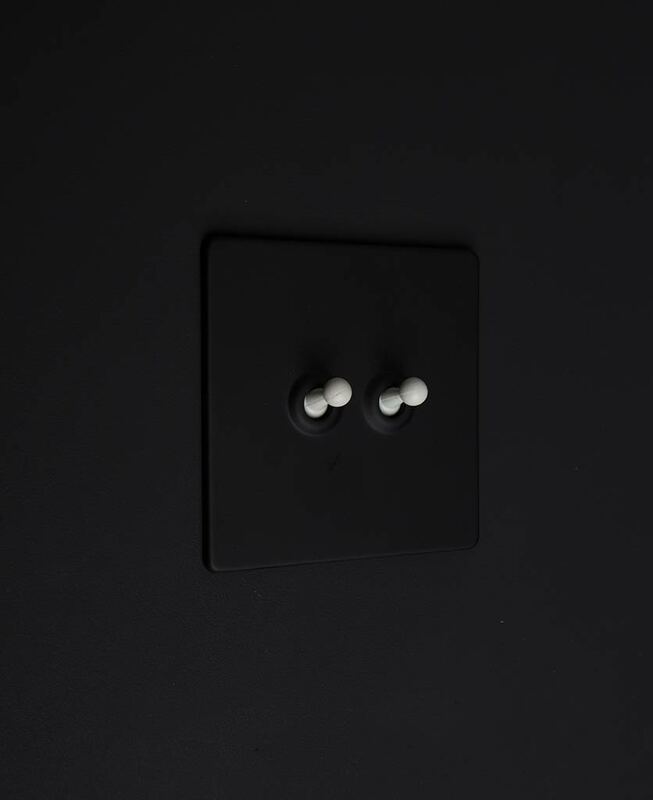 Check out our guide light switches explained to find out the difference between 1, 2 & 3 gang… Plus, when to use 1 way, 2 way and intermediate switches.